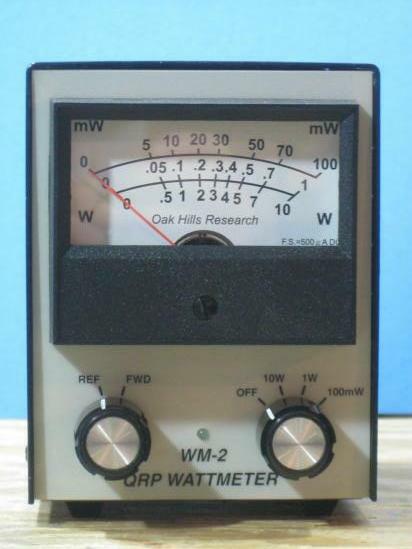 Well I finally ordered an Oak Hills Research WM-2 (http://www.ohr.com/wattmeter.htm). 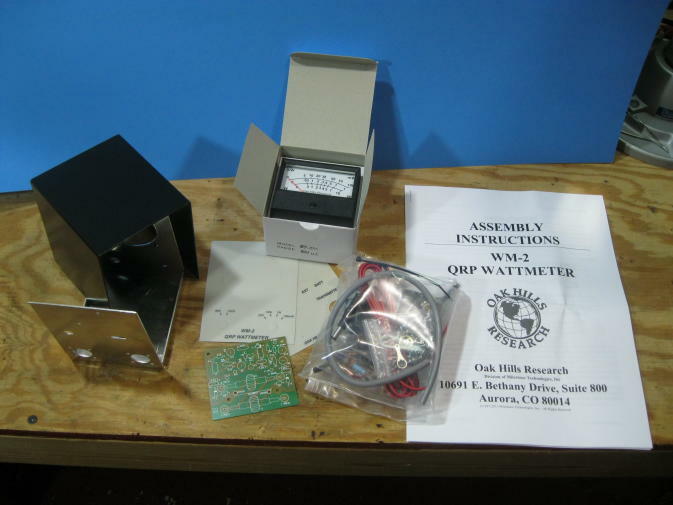 I’ve looked at them for awhile and with the recent demise of Small Wonder Labs I decided that I’d better get one before I end up adding it to my “woulda, coulda, shoulda” list like so many other great QRP kits. 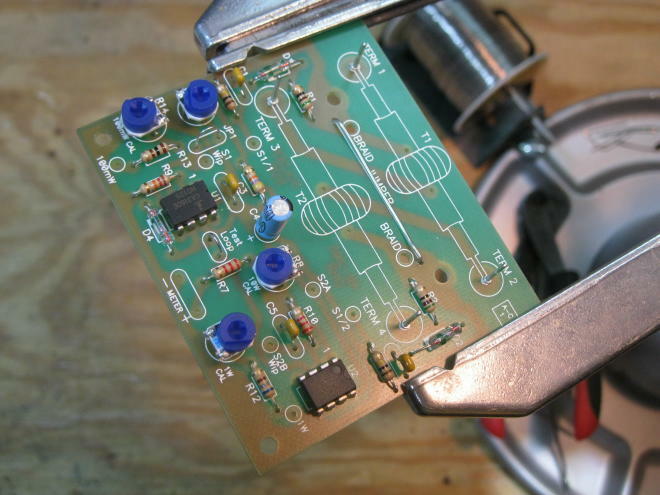 The kit gets great reviews on eHam and is one of the nicest analog QRP power level wattmeters around. The kit was shipped lightning fast and I had it within the week that I ordered it. It includes everything you need for a successful build including a very nicely done case with labels for all the controls and connectors. It’s a pretty straightforward build with a small circuit board with 24 components and two toroids that are wound to sense RF and then all of the interconnect parts and of course the meter. 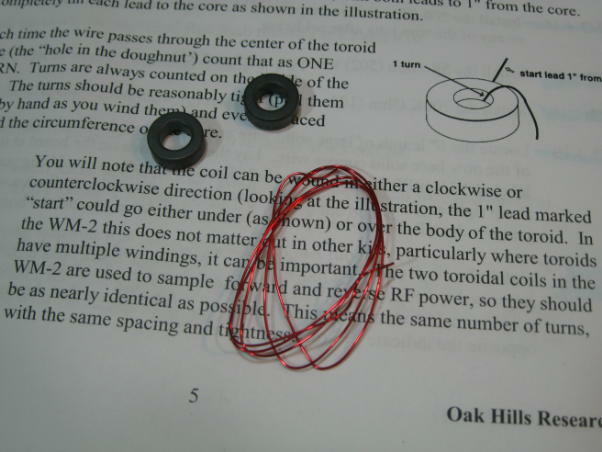 The toroids are 12 turns of #24 wire on FT50-43 ferrite cores. The toroids are easy to wind. OHR offers the option to purchase a set of pre-wound toroids if you wish. 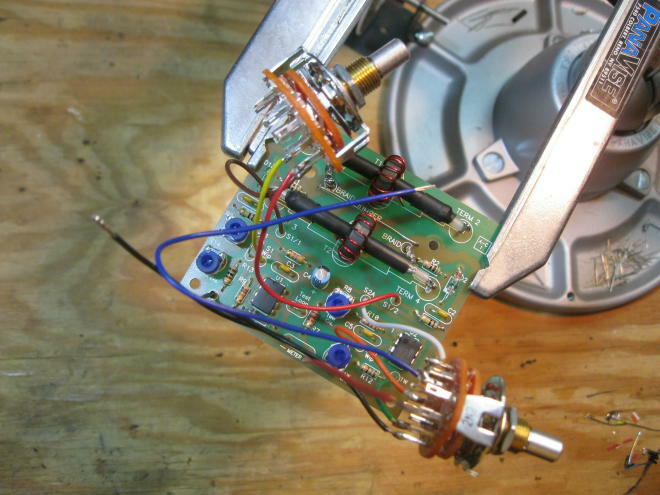 Here are a couple of good tutorials on winding toroids: Genesis Radio and Kits and Parts. 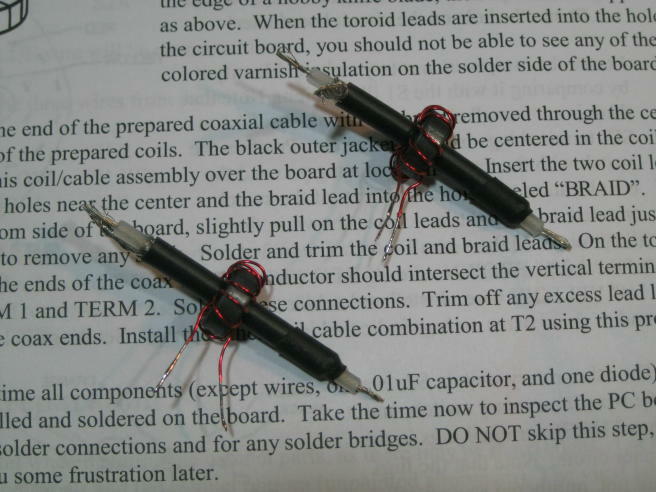 Here are the completed toroids on the bits of coax that are placed on the circuit board to to sense both forward and reflected RF. The WM-2 has three power ranges of 100mW, 1W, or 10W with a claimed accuracy of 5% of full scale. 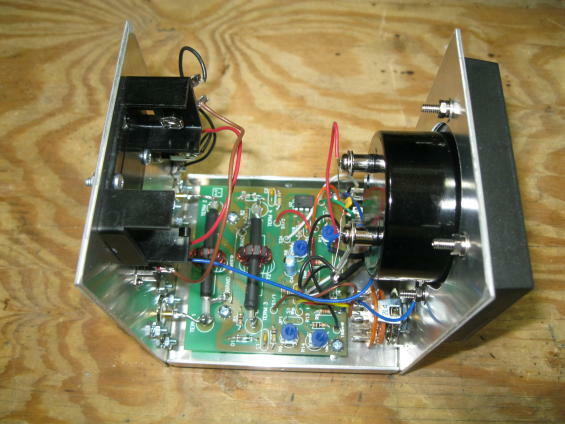 It is powered from either an internal 9V battery or an external power supply. The meter measures both forward and reflected power so you can use the readings that you make to calculate SWR if you wish. The only mod that I made to the kit was the addition of a Power On LED. OHR offers an option for this but it’s easy to do yourself. 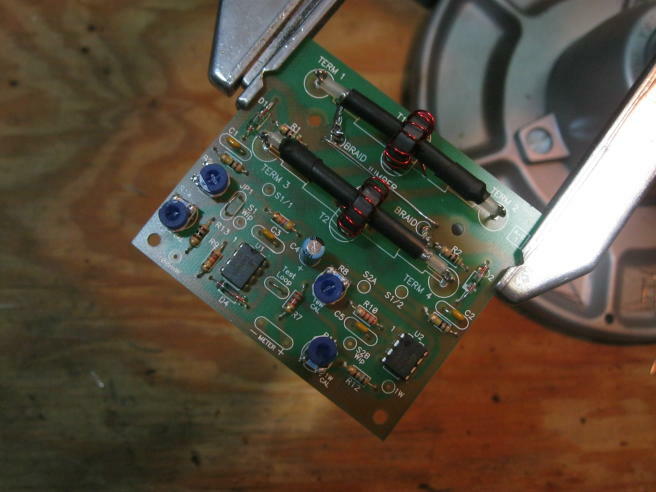 Pick your favorite size and color of LED, carefully drill a hole in the front panel where you’d like to place the Power On LED, and then place it and a dropping resistor between pin 4 of rotary switch S2 and ground. I chose a green 3mm LED and a 2.2K Ohm dropping resistor. The complete build took maybe 3-4 hours with no issues along the way. Calibration is easy with the use of a DVM. Overall it is a very nice meter. 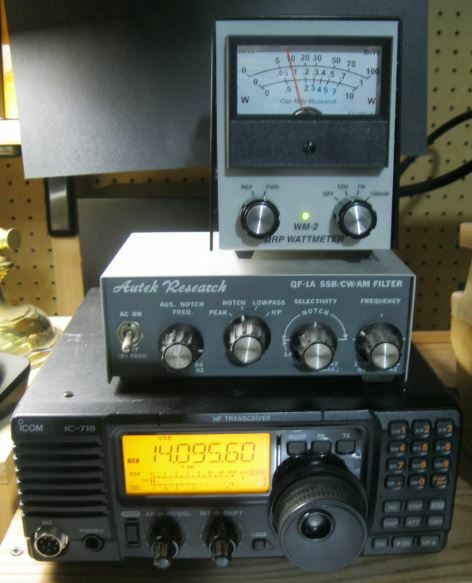 It appears to perform very well and will make a nice addition to your QRP shack. If QRP is all about caring enough to send the very least this meter will easily help you determine just how much you care.